Well, as it turns out my mom and I were acknowledged in the book. Yes, we did triple backflips. Ok, maybe just in our minds we did backflips but it sure felt like we actually did them. We did jump up and down with excitement. What an amazing honor! Love you Barb and thank you so much. Also, I was at a blogging conference this past week and Jessica Alba was there with her company, The Honest Company. I handed Barb's book off to her friends but not without writing a short note in it beforehand. 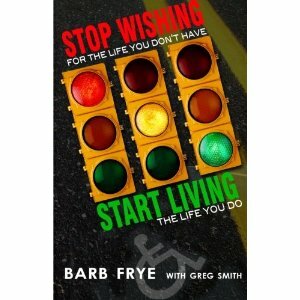 Please support Barb by buying her book.